Creating a piece of visual faith each day can sound like a daunting endeavor. However, if you choose a time frame it becomes a project with a beginning and end and a great way to study a book, a chapter in the Bible or a Book of the Bible. 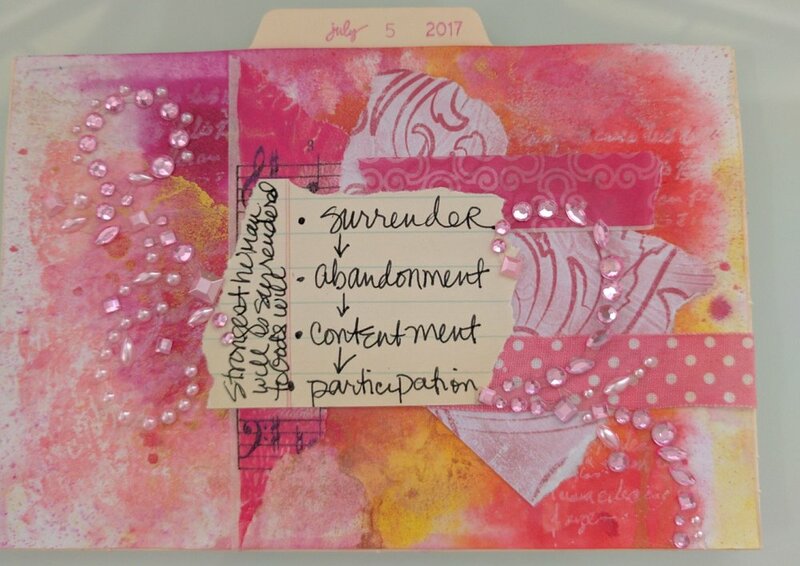 Diane Marra used the book "Renovation of the Heart in Daily Practice" from June 1 2017 to July 31 2017. There are 61 chapters in the book and the project was for 61 days. 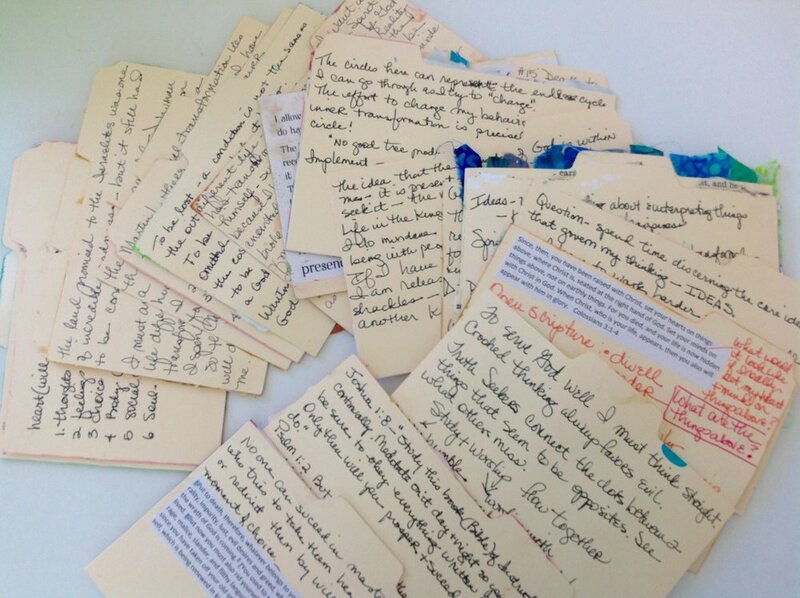 Each day Diane read the chapter ( short 1-3 pages), journaled her thoughts and prayers on the back of a 4x6 manilla file card. On the front she used various mixed media techniques to express her transformation. Spending time in His presence, and allowing the Holy Spirit to speak to her was refreshing, transforming and revealing. Do you have a book that inspires you to transform your heart? Try spending time each day creating a legacy of your Holy time with God.